Home > Holidays > 2019 Christmas Food, Decor & Craft Ideas > 16 Totally Unusual DIY Christmas Decor Ideas That Are Easier to Make Than They Look! Make your home as festive as possible with these merry and bright Christmas decorations that you can make yourself! I have a confession to make, at Christmas the only decorations we have are on our tree. I know. Boring right? 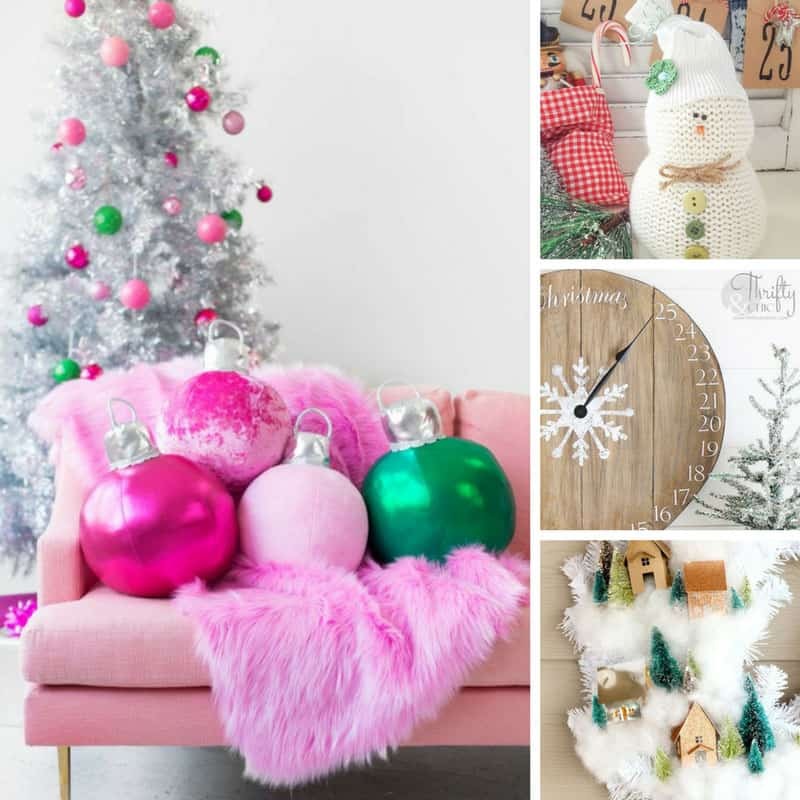 Well this year I think it’s time to festive things up a bit and ho ho ho did I find some totally fabulous DIY Christmas decor ideas, that look like they were expensive to buy, but are totally easy to make! Everything from ornament pillows that are just made for snuggling, the most amazing tree skirt, oh and adorable little snowmen made from old sweaters! 12 Stinking Cute Gingerbread Man Ornaments for Kids to Make this Christmas! Previous PostPrevious 25 Awesome Ways to Organize Your Home with Pegboards! Next PostNext 10 Christmas Cupcake Toppers to Make Your Cakes Look Fabulously Festive!